The traditional American Breakfast- Eggs on Toast gets a revamp! An amazing hors d’oeuvre to be served along with your cocktail! Like seriously? Am I really talking about Eggs on Toast? How can it be a party food? It’s the American breakfast! Oh, please hold on before you arrive at a conclusion. Eggs on Toast can be served as a tasty appetizer too. Quick and easy to prepare and definitely goes with your drinks. You may want to try it. Last day, I told you about how our cocktail parties are held. These formal affairs are finished off well before dinner and generally only soup and heavy snacks are served. 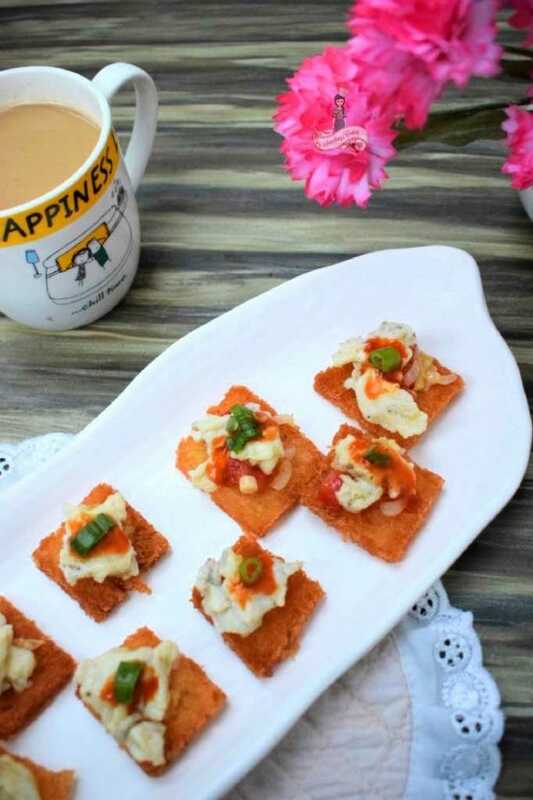 Eggs on Toast is a pretty popular appetizer in our Fauji (Army) family. I have no idea how this traditional breakfast ended up as a cocktail appetizer. But I guess when you are posted to a remote location where you do not have the luxury of a bountiful market, shops or bakeries, you simply ought to be innovative and make the best out of it. 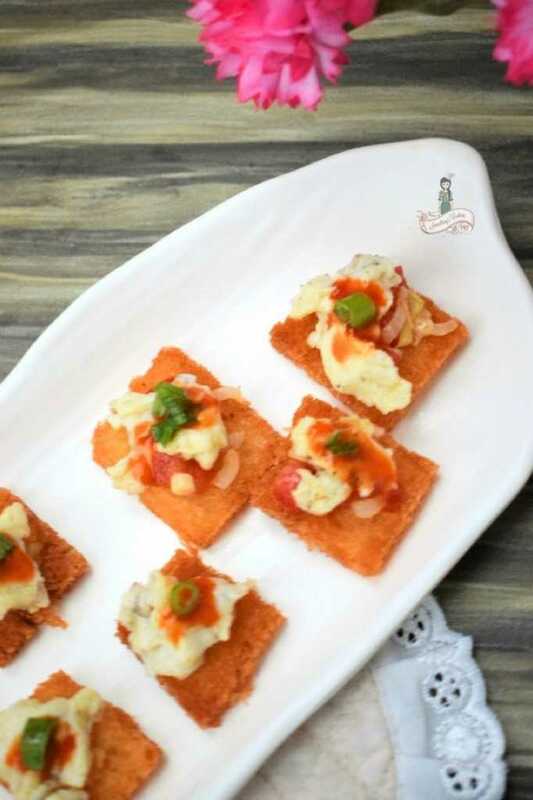 Hors d’oeuvre are appetizers, usually a small bit of savory food as fish, meat or cheese served atop crackers or toasts. Eggs are delicious and simple. 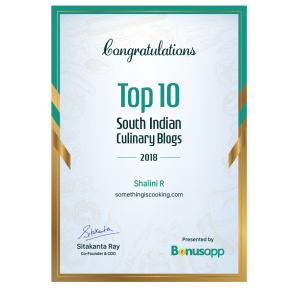 You can make so many different dishes outta them, that too in a matter of minutes. Maybe, that’s the reason I have always loved eggs. 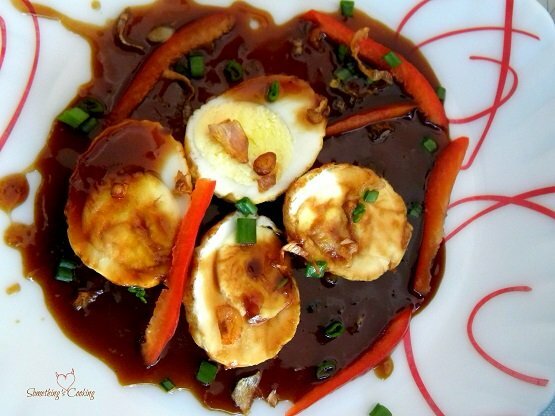 A little pep in your basic scrambled eggs and your Eggs on Toast Appetizer is ready. Grab your Bloody Mary or a Cognac and gobble these up. The traditional American Breakfast- Eggs on Toast gets a revamp! 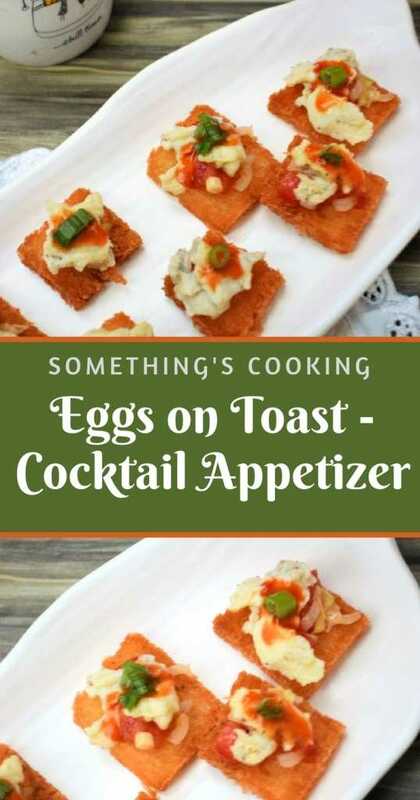 An amazing hors d'oeuvre to be served along with your cocktail! Trim the bread slices and cut the slices into 4 pieces each. In a pan, heat oil and fry the bread pieces on both sides till light golden. Drain on absorbent kitchen towels and keep aside. In a pan, add a tbsp of butter and toss the onion and tomato in high heat for about a minute. Remove and keep aside. 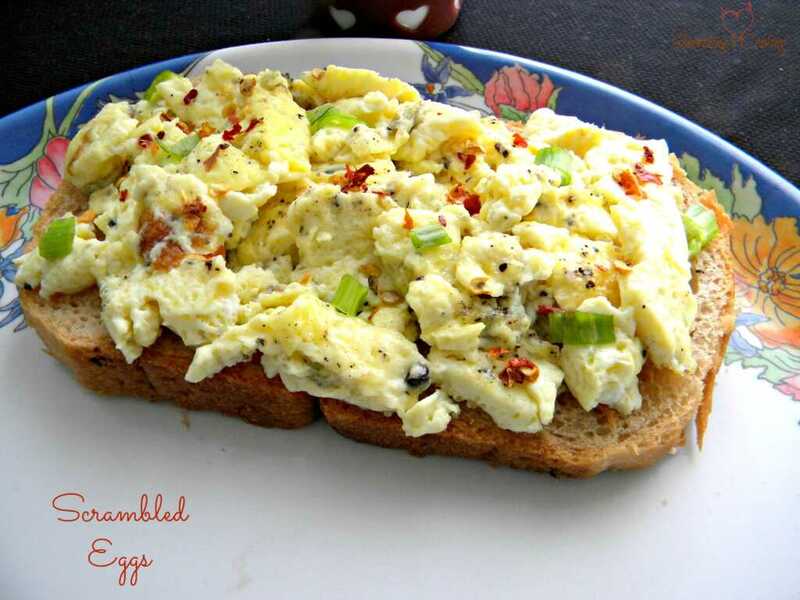 Using milk, prepare Scrambled Eggs as given in this recipe Scrambled Eggs . Arrange the fried bread slices on a serving plate. Top it with a little tomato-onion mixture, a generous amount of scrambled eggs, a dot of tomato ketchup in the middle and a spring onion green. Love eggs? 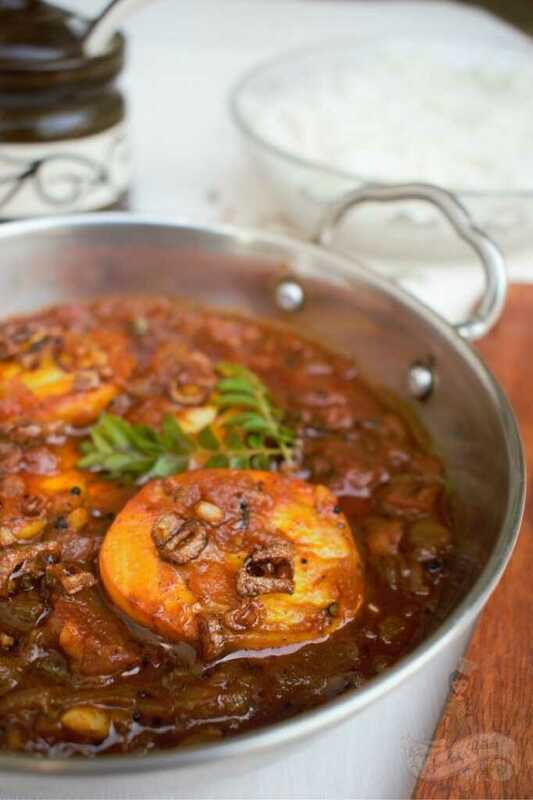 You would like the below recipes! Sounds yummers, looks yummers too. Must try. Thank you. Thats an easy recipe and I like easy and quick recipes. One question, you mentioned milk in ingredients..where are we using it in the recipe? I love eggs and those sound yummy. Fried bread and scrambled eggs – impossible to lose 🙂 Now I’m really craving eggs! Thanks, Tasha. I hope you try this out. Finally! Try and let me know? 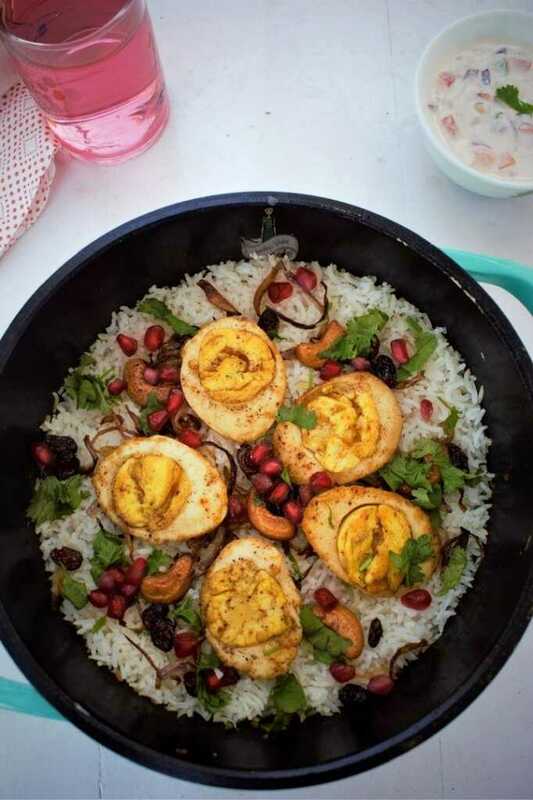 This is such an amazingly simple yet delicious recipe. I am a lousy cook but even I would be able to manage this. I hope you try this one, Balaka. Thank you. Breakfast sandwiches are one of my favorite things and I like this appetizer interpretation. Yummy!